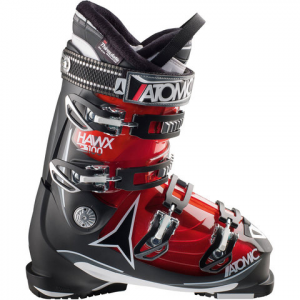 Perfect for the advanced piste skier, the Atomic Hawx 100 Boots feature a moderate flex and Memory Fit Technology. Memory Fit allows the shell, and liner to be molded in minutes. The Silver Liner is made from 3M Thinsulate for warm feet no matter the conditions. Additionally, the Walk-To-Ride Grip Pads make walking a breeze while the Sole Flex provides enhanced balance and control.